Another christmas gift! 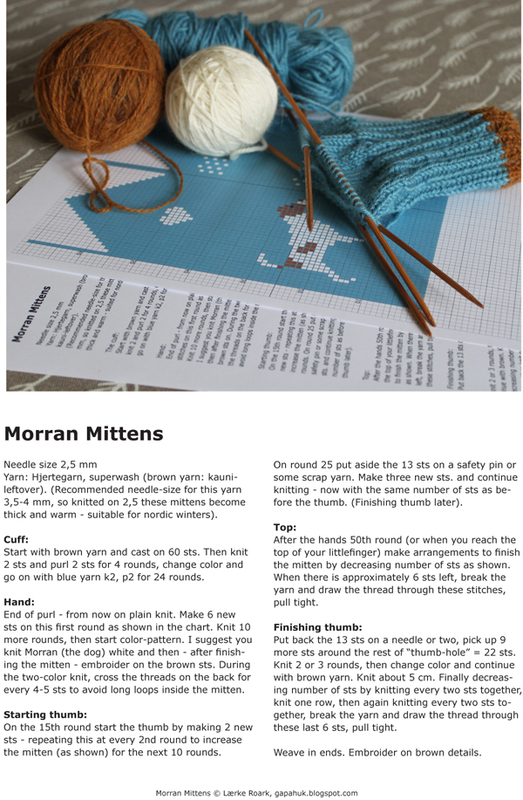 Lærke Roark is generously giving us the description of her Morran mittens. Thank you Lærke! As if that wasn't enough, she sent me the finished ones :) So I'm now the proud owner of a pair of Morran mittens (t h a n k * y o u). Get the mitten description as a PDF here. 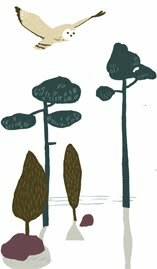 The Studio Morran 2012 calendar is sold out (I'm not printing new ones)! Napa books still has a few left. Fantastique! And this is just "your" blue, isn't it? 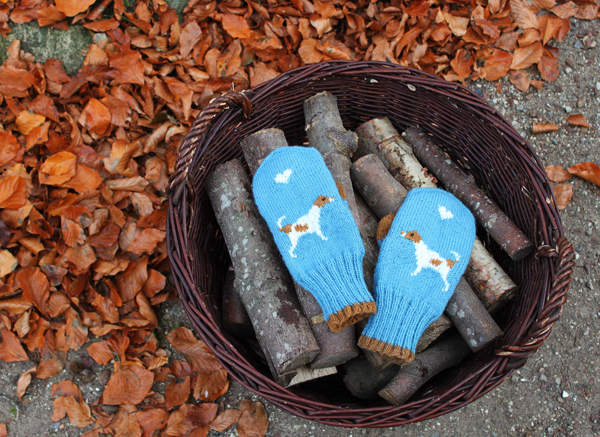 The mittens are awesome--too cute for words!! So cute, i'm going to give this one a try! These are adorable. 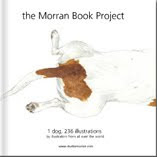 I want Morran everything!